More and more homes today have dedicated space for a home office. A space where someone can work from home with a flexible work schedule or a place to handle household bills and tasks. These rooms have their own sets of demands for lighting, electronics and flooring. What type of flooring works best in a home office? 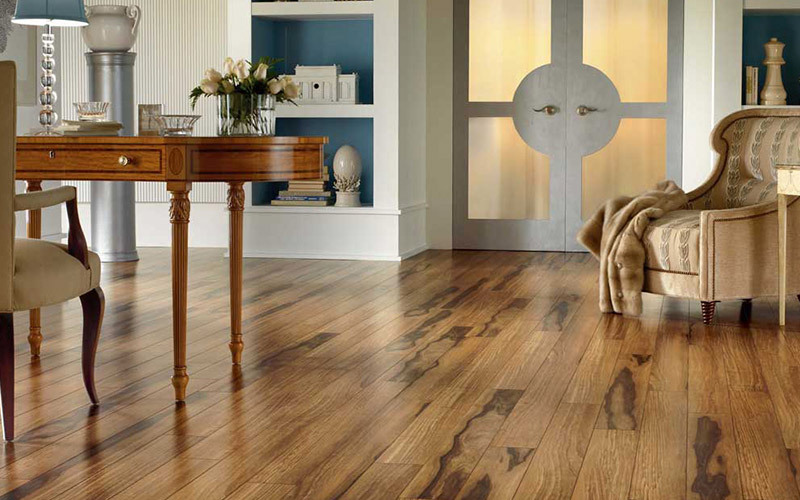 Each of these flooring choices brings its own design flair and style to a room. However, they all have a few things in common. Hard surface flooring is extremely durable, easy to clean, and great for allergy sufferers. Hardwood is an investment that increases in value and beauty the longer it is in use. It's a natural floor that does not hold onto mold, mildew or dust. And hardwood floors come in a wide range of styles, colors and varieties sure to match any decor in your home office. Tile flooring may initially feel like a corporate feel - something people want to avoid in a home office. However, today's tile designs bring so much color, warmth and style to a room that it will feel anything but sterile. In fact, you can even look at tile options that appear to be wood tiles - this can be a great way to bring the look of wood into a room along with the harder, more durable surface of tile. Tile comes in an astonishing array of styles, shapes, patterns and colors so you're sure to find one that's just right for you. Resilient flooring is the newest of these floor choices and might just be the most durable of the bunch. As the name imples, resilient flooring is able to handle a lot of traffic and feel slightly more forgiving underfoot than tile or hardwood. Resilient floors are made to look like wood, stone or ceramic with a very realistic appearance but with maintenance and installation requirements that can go just about anywhere. Hard surface floors are becoming the top sellers in our Indianapolis flooring store. We invite you to learn more and then stop by to see some selections for yourself.